We are happy to report that we harvested over 9 tons of rice this month at our rice farm. This harvest amount will provide a nourishing ingredient to our children’s meals for 4 months, realizing a savings of about $6,000 we would have spent to buy the same amount of rice in the market. Though our rice farm covers 5 acres of land, we were only able to cultivate 4 acres of rice due to a lack of rain this season. However, it was still a successful harvest, and we are thankful since rice is a great source of sustainability in India. The average Indian consumes about 14 lbs. 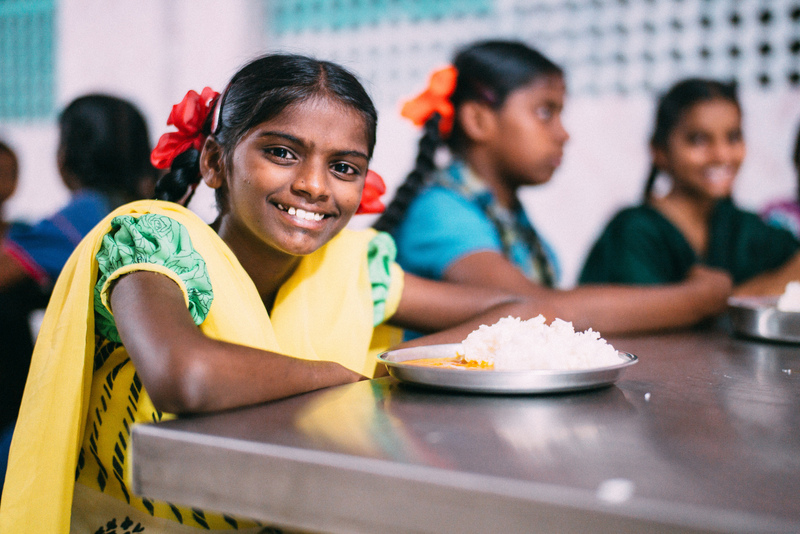 of rice monthly, or about half a pound of rice a day, and the children at our Hope Center and at our orphan homes consume close to 18,000 lbs. of rice in their diets annually. The rice has to dry after harvest for 2 months, so we will start consuming the rice in April. Rice combined with lentils, another staple in the Indian diet, offers a nutritious source of complete protein, fiber, iron, and other essential minerals as well as Thiamin, Riboflavin, Niacin, vitamin B6, and Pantothenic Acid. Photo inset: (Top-left): The upcoming land purchase will give our India team additional space for a vegetable garden, in addition to the existing on-campus ground level gardens and rooftop box gardens. (Top-right): Our new rice harvest will provide enough rice to feed orphans in our girls and boys homes for 4 months. 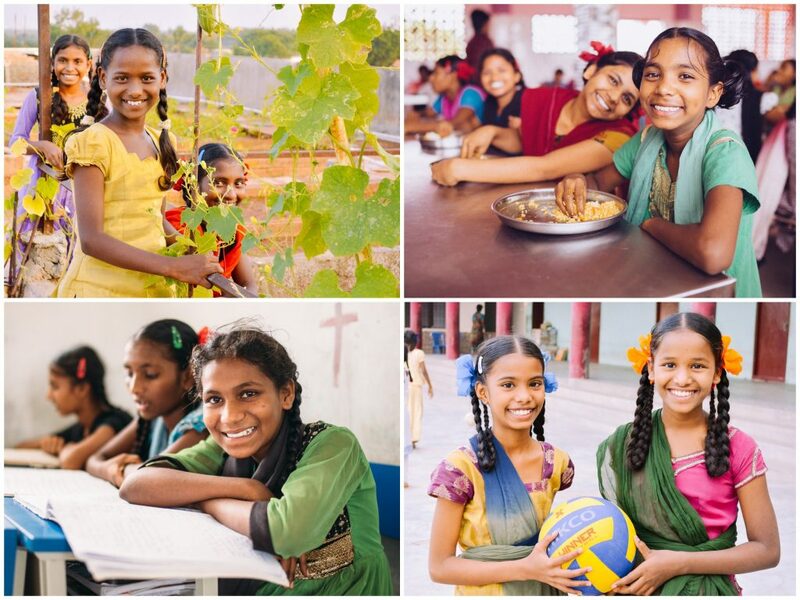 (Bottom-left): A higher education is important for girls in rural India; our team is excited about our upcoming on-campus high school. (Bottom-right): Children at our girls and boys homes are excited about the new land purchase, which will provide more space for games and athletics.